On June 28th, the House of Representatives passed H.R. 1215, the Protecting Access to Care Act of 2017, which adds limitations to medical malpractice cases. The bill was passed by a vote of 218-210; however, all Democrats and around 18 Republicans opposed the legislation. The goal of the legislation is to improve access to, and the quality of, medical care. The bill’s supporters hope to achieve this goal by reducing the unnecessary burden the liability system places on the healthcare delivery system. The bill aims to do this by setting new limits on medical malpractice litigation, changing the statue of limitations on filing malpractice claims, and limiting non-economic awards for plaintiffs. Damages that are considered non-economic, such as pain and suffering would be limited to $250,000. Supporters of the legislation also said it would limit unnecessary medical tests and procedures, reducing healthcare costs as a result. Additionally, they believe that insurance costs for doctors will decrease – indirectly lowering costs to patients. 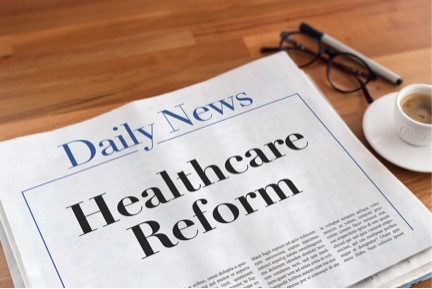 The Congressional Budget Office’s (CBO) evaluation of the bill agrees with its supporters, finding that it would lower costs for healthcare by lowering premiums for medical liability insurance and by reducing the use of healthcare services. The CBO also projected that the federal deficit could be reduced by $50 billion by 2027. For months now, Republicans have mentioned they are working on three phases to make changes to the current healthcare system by repealing and replacing parts of Obamacare with a patient-centered, free-market system. Phase One begins with the American Health Care Act (AHCA), which delivers relief from Obamacare’s taxes and mandates that have increased premiums and limited options for patients and healthcare providers. Phase Two involves administrative changes to the rules the Department of Health and Human Services can make. Phase Three involves bills, such as the Protecting Access to Care Act, that increase patient choice and market competition, and prevent abusive medical lawsuits. Other bills passed in the House as a part of Phase Three include the Competitive Health Insurance Reform Act, eliminating anti-trust protection for insurance providers, and the Small Business Health Fairness Act, which allows small businesses to pool together to provide coverage for their employees. Republicans are saying that these bills are just the beginning of Phase Three and are continuing their efforts to reform the healthcare system so that it works for the American people. Democrats are criticizing the Protecting Access to Care Act, alleging that it unfairly limits a patient’s ability to receive their rightful damages from medical malpractice and, in turn, protects negligent doctors from liability. They argued that the bill seems more like it’s meant to give a tax break to health insurance companies. During the debate, Iowa Republican Representative Steve King, one of the bill’s co-sponsors, defended the bill as a necessary move for regulating healthcare spending. King stated that spending is growing partly because of doctors performing unnecessary tests out of fear that a patient might sue them. He further went on to say that the bill would only apply to civil cases, not criminal ones in which a patient sues a doctor for sexual assault. However, 80 organizations still sent a letter to House leaders insisting they oppose the bill. They wrote in the letter that recent studies have established that the bill would eventually lead to more deaths and injuries, and increased healthcare costs due to a “broad relaxation of care.” These organizations believe that liability limitations will significantly weaken incentives for these industries to act safely. Will Senate Pass the Protecting Access to Care Act? Although there is much debate surrounding the Protecting Access to Care Act, the White House’s senior advisors have recommended that President Donald Trump sign the bill into law. As a part of its administration policy statement, the White House said that state medical liability rules usually allow for and unlimited amount of non-economic damages, increasing the cost of healthcare and imposing a significant burden on healthcare providers. However, the bill still faces an uncertain future as it heads to the Senate, where it will most likely need 60 votes to pass. Do you want more healthcare industry updates? At HIS, we aim to keep you up to date on issues impacting the radiology and orthopedics industry. Sign up for our monthly e-Newsletter or take a look at our blog for more healthcare news!